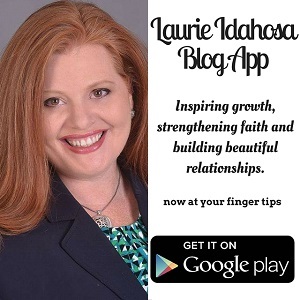 For the past few weeks, I have being sharing some insights on my twitter handle @IdahosaLaurie that I believe will be helpful in maintaining healthy families. Considering the relevance of the information, I will be sharing same information periodically with my blog readers! Feel free to comment and share with people you care about. 1. Thank you for joining me on our first tweet session on #FamilyLifeSimplified #SettingFamilyGoals. 3. Extraordinary homes aren't built by default. They are deliberate. 4. Having an effective family life will help balance every other area of your life. 5. Every nation is made up of families. When the family is in order, the nation is in order. 7. Ask yourself what you'd like your marriage to be like 12 months from now. Why not set goals and work towards it? 8. The covenant of marriage is important to God. He hinged the future of mankind on it. 9. Don't settle for a mundane, average marriage. Have an extraordinary one this year! 11. Do you want your marriage to resemble your parents’ marriage? 14. Set big family goals, but start with baby steps. 15. Failure to have goals is one way to ensure that you won't move ahead. 16. Achieving your family goals will require some sacrifice. Nothing great happens without sacrifice. 23. When you have goals in areas where you need education, make personal development a goal. 30. Ask yourself every day, "is this decision I'm making in alignment with where I'm going this year with my family? 32. When you mess up and act out of alignment of your family goals, don't throw in the towel. Get back in the game. 34. Please retweet anything you found useful that someone else might benefit from. 35. The New Year is a chance to be intentional about growth as a family. 36. 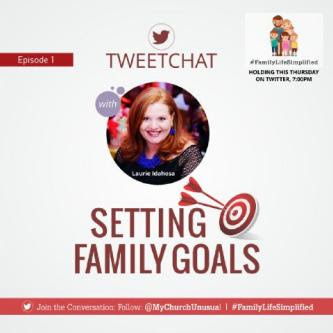 If you have any questions on #SettingFamilyGoals feel free to add it in the comments section.